Added on 08 August 2018 . By Faith Strickland. Burger Bear gets around - from pop-ups in London through to feeding clubbers at Motion in Bristol. And now the popular burger vendor has set up shop permanently on Gloucester Road, in a stripped back little restaurant. 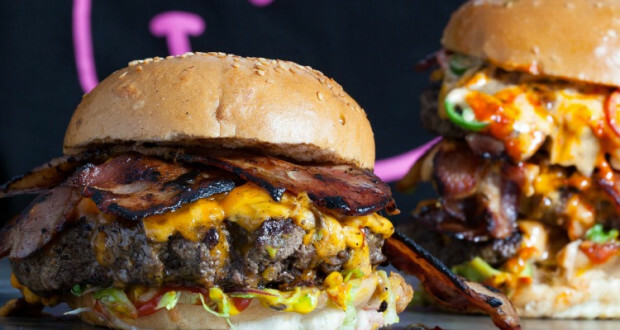 Founder Tom Reany has decided to keep many of the favourites, with dishes such as Triple Threat (a huge three patties), Quarter Panda (with bacon butter and bacon-smoked Swiss cheese), and The Grizzly Bear (topped with the famous bacon jam). The casual spot will also be serving a vegetarian choice, different varieties of wings, and cool craft beer to wash all that bacon down.